If you really, really, really, really forced me to make a list of the things I dislike the most in life, the top three would go something like: 1) avocados, 2) leopard print anything, 3) triple digit payments going out of my bank account. Today, though, I had to bite the proverbial bullet and invest in a new pair of running shoes, parting with the money that will hopefully mean I remain injury-free throughout marathon training and the rest of the year. At least there was no avocado in my food so it was still a good day. It was a bittersweet moment. I’ve been faithful to Mizuno for the last couple of years – first with the Wave Nirvana 7 that I bought before my first half-marathon and then with the slightly cuter but still just as comfortable Wave Nirvana 8 that I bought right after the 35k trail and proceeded to baptize with a super muddy Xterra event, proving that I don’t deserve to have nice new things. By my calculations (margin of error ~100%, since I’m a journalist, not a mathematician, but you’ll just have to trust me on this), I’ve run about 400km on the Wave Nirvana 8. They haven’t quite reached the end of their lifespan but, if I kept them as my only pair of running shoes, they would have gotten pretty close to that by March, when I’m running the marathon. I’m no expert but I’d say running your first marathon in an old beaten up pair of running shoes is probably not ideal. Plus, as evidenced below, the top of the shoe is doing even worse than the sole. The Wave Nirvana 8 still have a few hundred kilometers in them (provided the top doesn’t completely disintegrate) so, for the next couple of months, I’ll be alternating between those and the Asics during marathon training. Come marathon day, though, I’m pretty sure these Asics are the pretties I’ll be lacing up sometime in between numerous panic-induced bathroom breaks. The good news is that, according to the nice man who took all my lunch money at the Shoe Clinic today, both my previous pairs of Mizuno shoes seemed to have been good for me. He did the usual filming while I ran on the treadmill and showed me how my running posture has changed in the last couple of years. I don’t over pronate nearly as much as I did before and so I was allowed to “downgrade” to a neutral shoe. I was pretty happy to see I was running a lot straighter and got to nerd out watching my foot land on the ground in a less idiotic way than it used to before. Look, ma, improvement! After trying a couple of different pairs, I settled on the Asics Gel Cumulus 14. I put them on for a little treadmill test and it was like running on a fluffly cloud. A really lightweight, pink and slightly too expensive fluffy cloud. I felt like I was cheating on Mizuno but I really didn’t want to take the Asics off anymore and couldn’t resist taking them out for a lap of the local reserve, after I got home. Pretty pink Asics, let me take you out on a few running dates. I can’t be entirely sure yet (the magical words here are “30 day money back guarantee”) but I think this might be the beginning of a beautiful friendship. Apparently I don’t look like an uncoordinated idiot running in these. 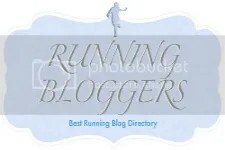 Categories: running | Tags: asics, asics gel cumulus 14, fitness, health, marathon training, mizuno, mizuno wave nirvana 7, mizuno wave nirvana 8, running, running shoes | Permalink.